International Seminar on Mediterranean by French Ministry of the Environment, Energy & Sea. 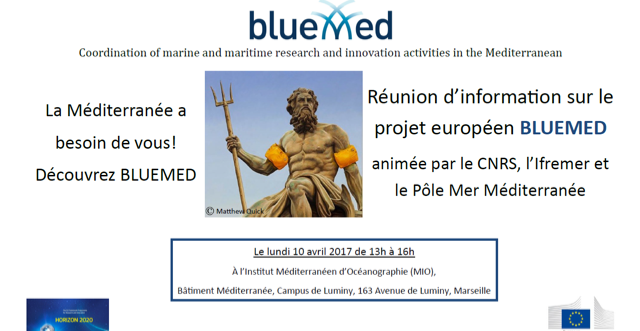 The BLUEMED initiative will be presented during the first round table devoted to science, at the International Seminar on the Mediterranean, on Thursday 23 February 2017. 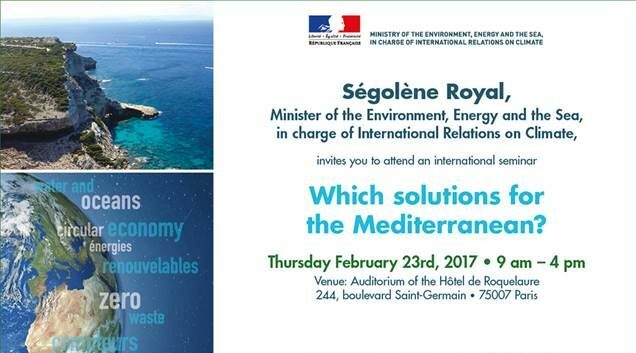 The seminar is organised in France by the Ministry of the Environment, Energy and the Sea: “Which solutions for the Mediterranean?”. The seminar will take place from 9am-4pm. You are all welcome to attend this event. Please register by sending an email to chirine.berrichi@developpement-durable.gouv.fr, if you wish to attend.